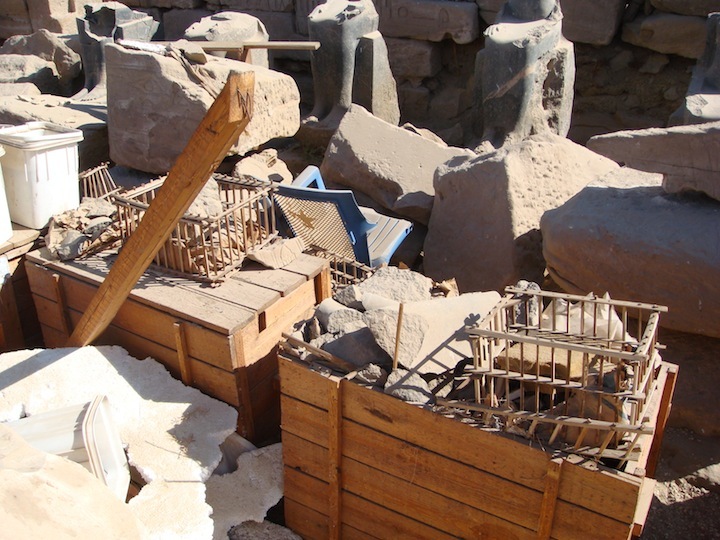 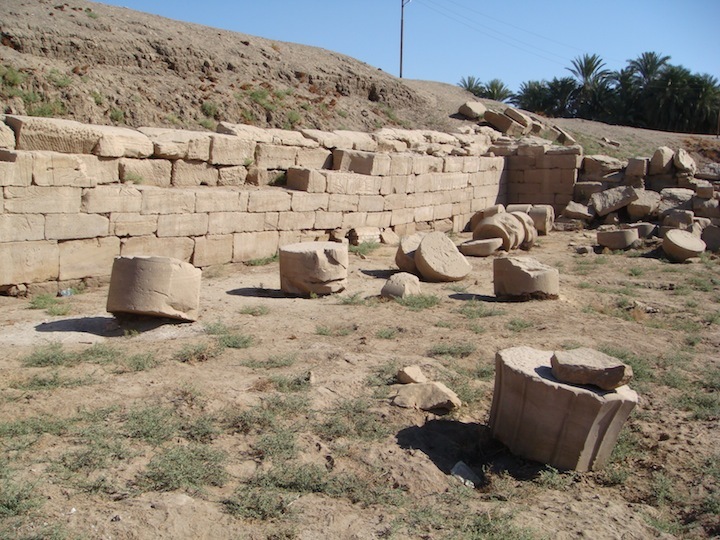 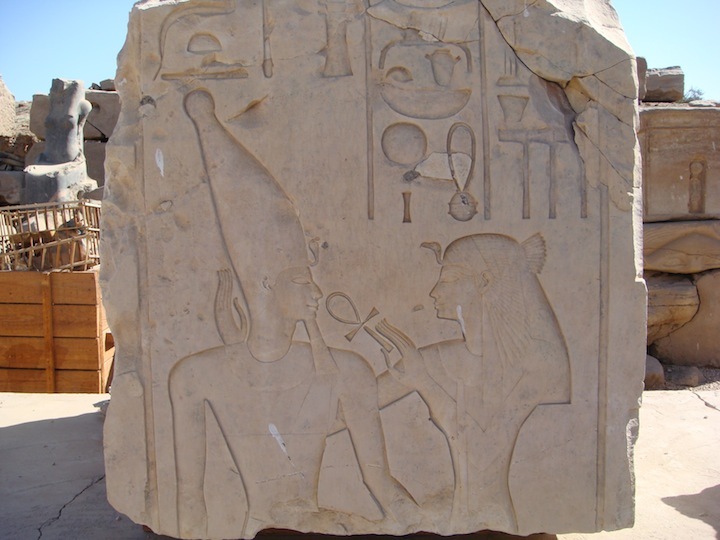 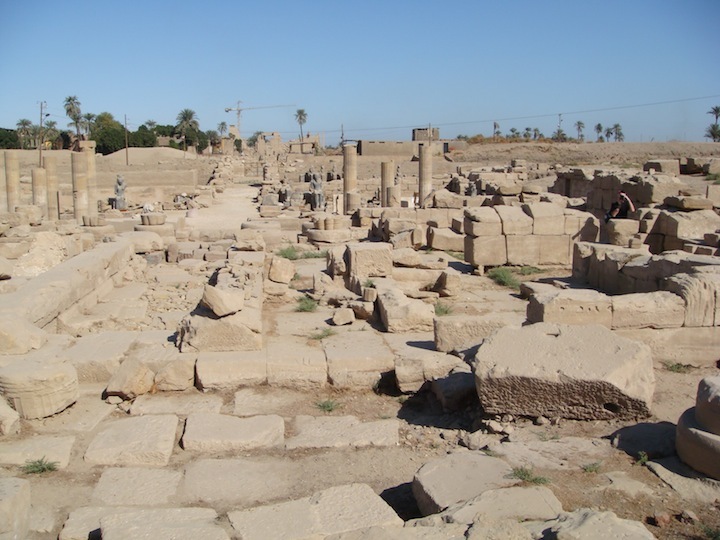 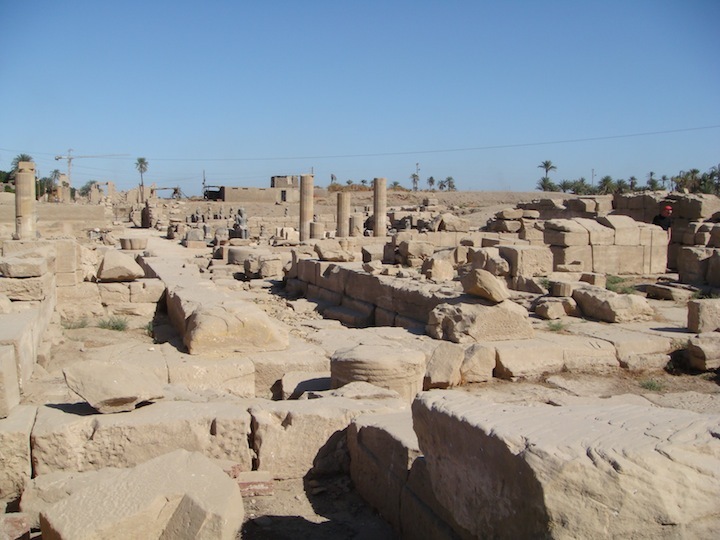 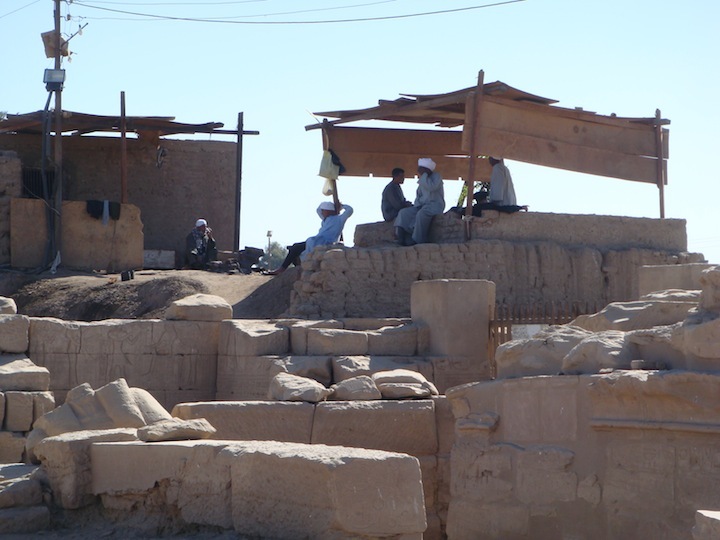 The Precinct of Mut is one of four areas of the Karnak Temple site and occupies 150,000 square metres. 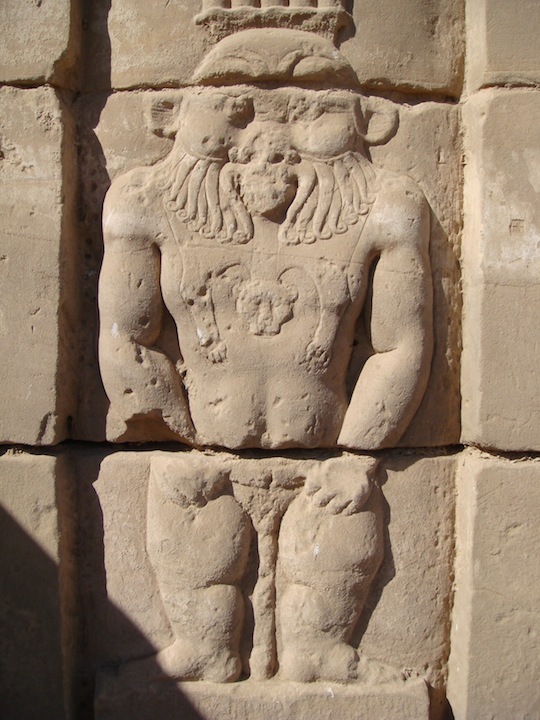 It was originally know as Isheru or Asher. 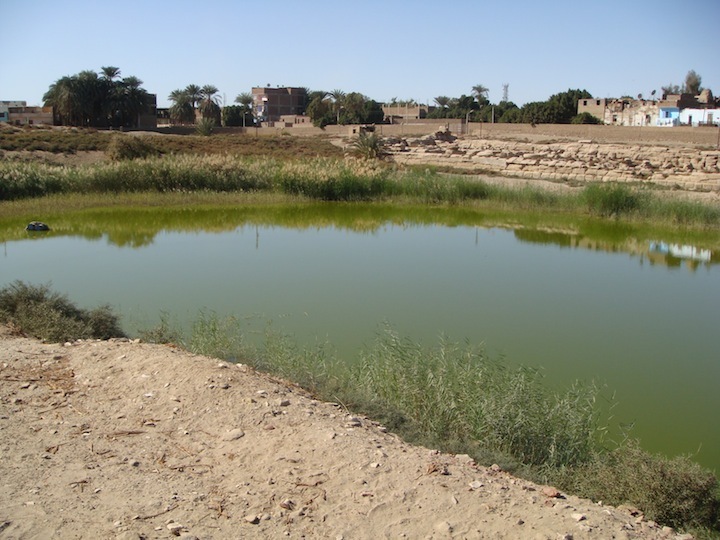 Isheru was the name of the spring that fed the Sacred Lake. 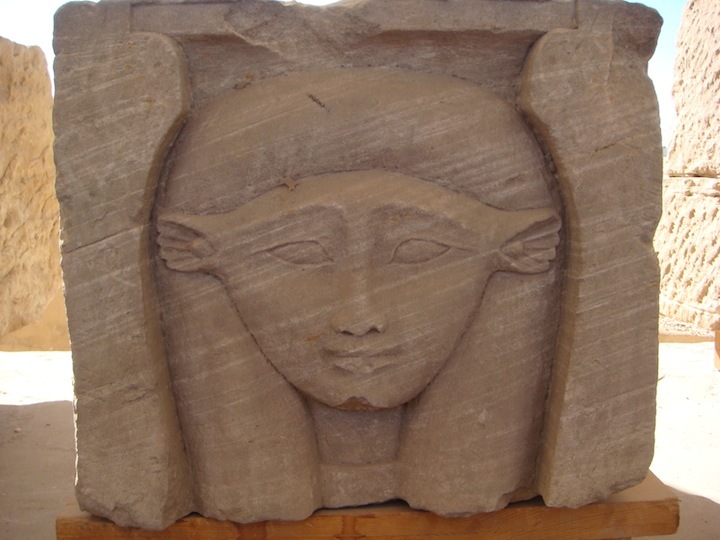 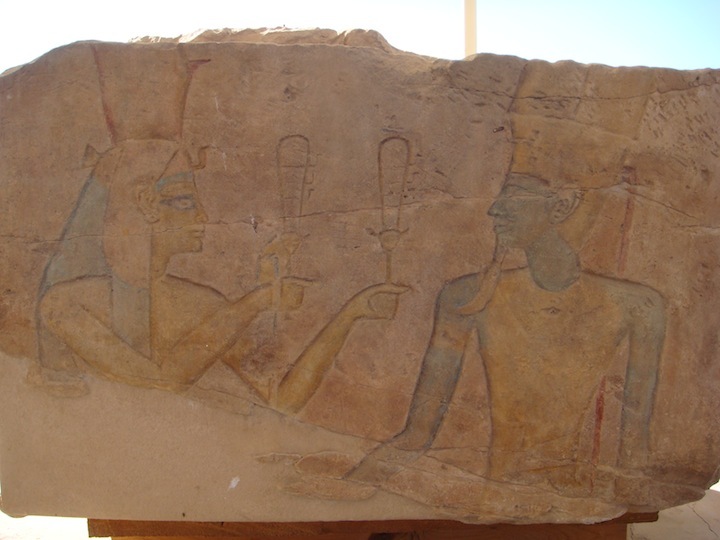 It originates from the 18th Dynasty and goes through to the Graeco Roman period. 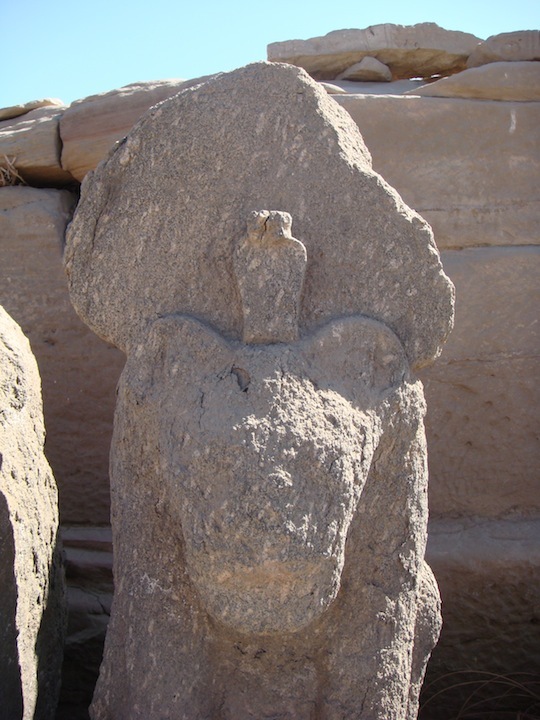 Hundreds of statues are throughout the site and a great number were found in the Sacred Lake. 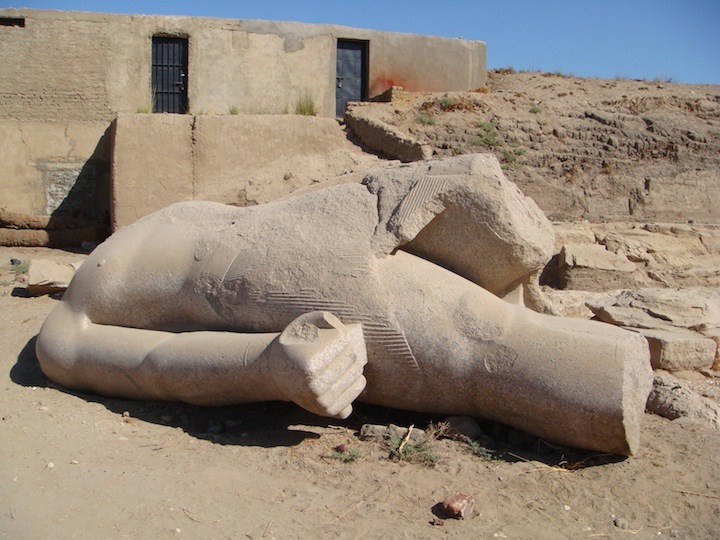 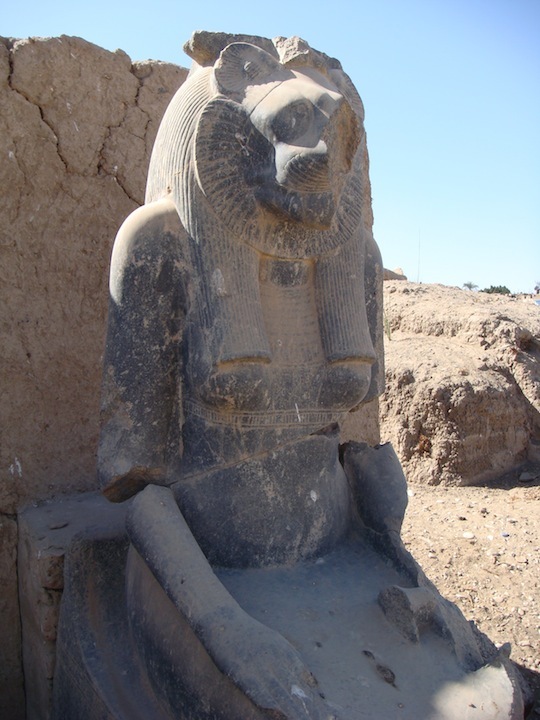 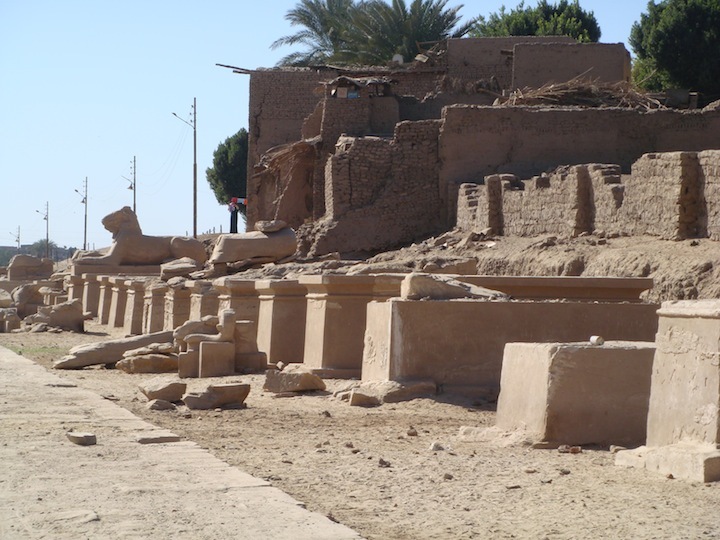 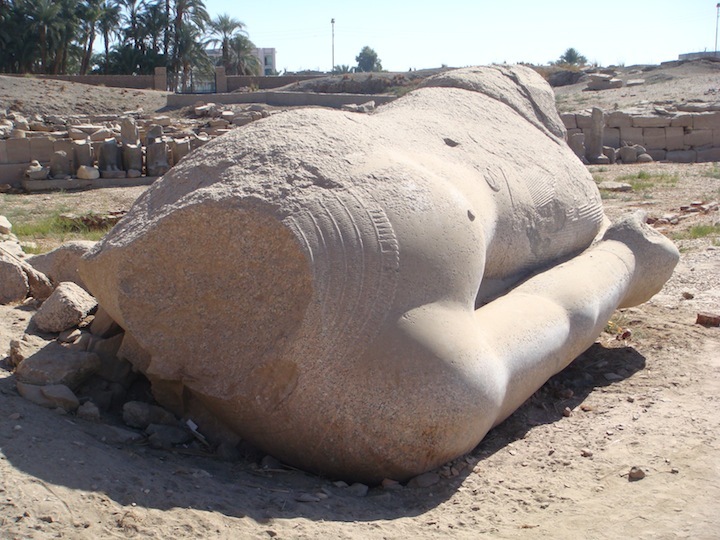 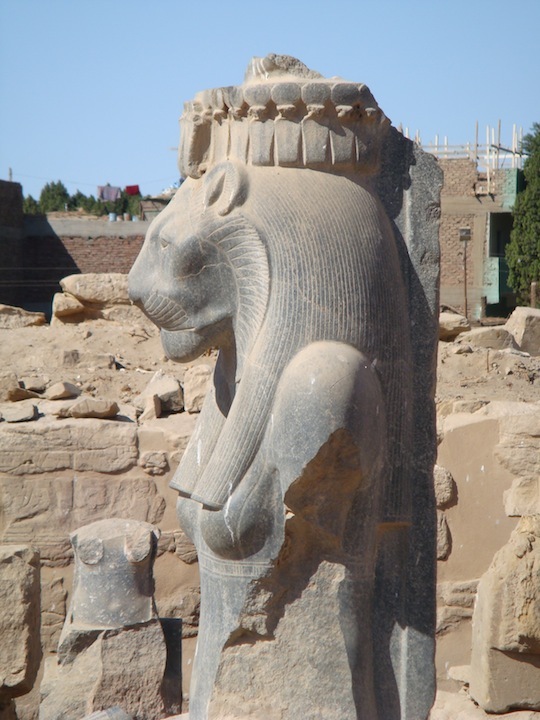 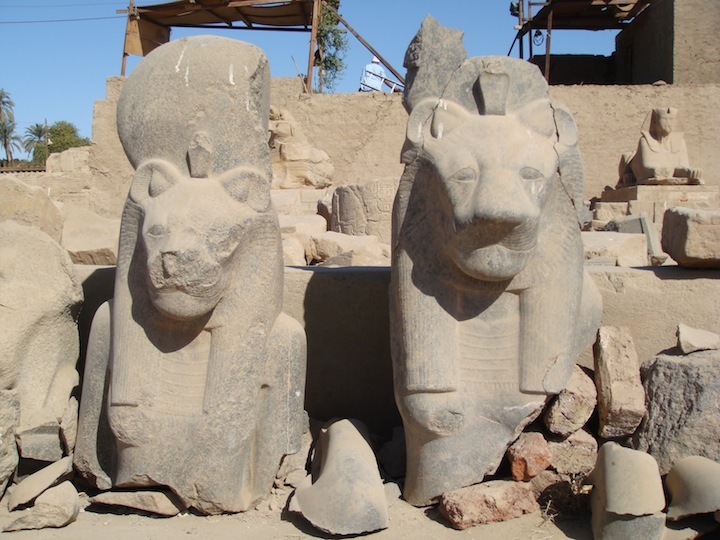 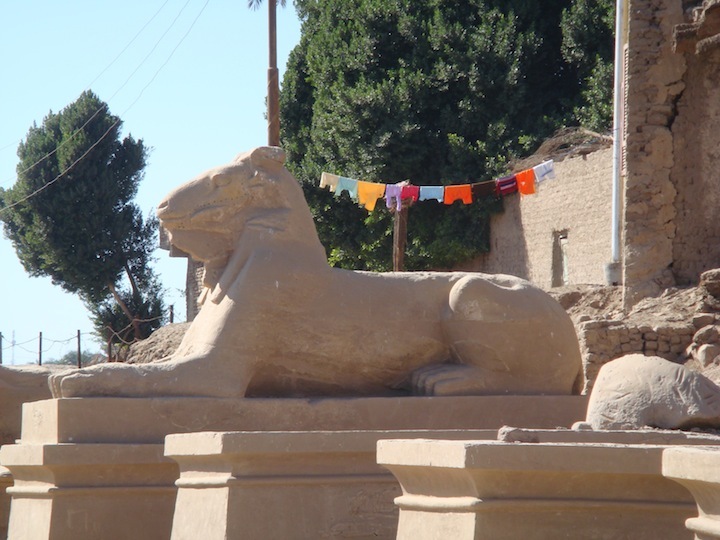 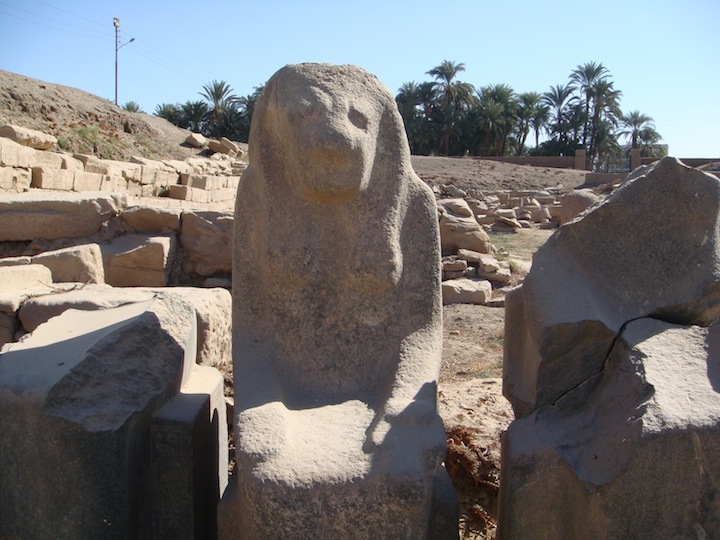 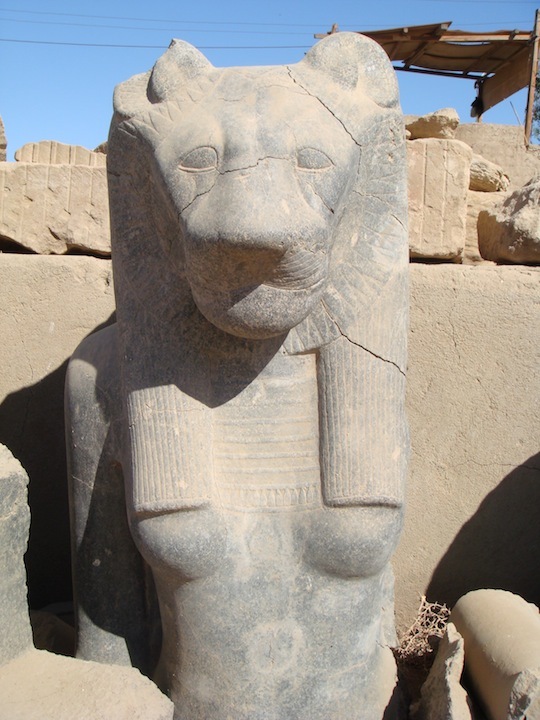 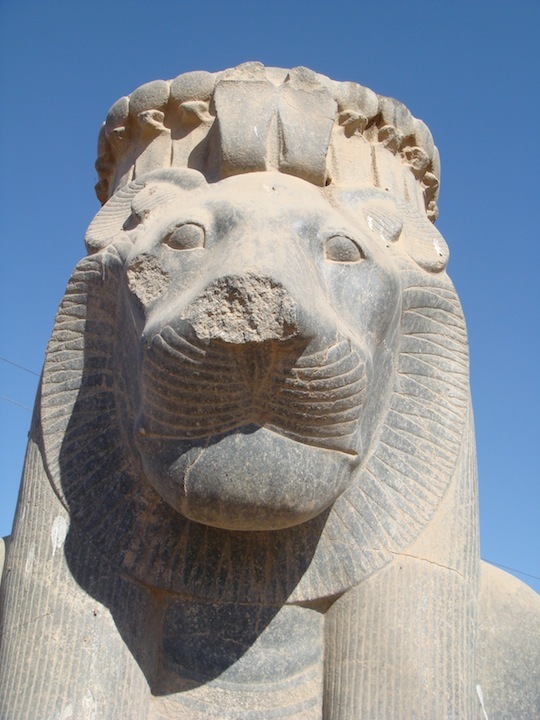 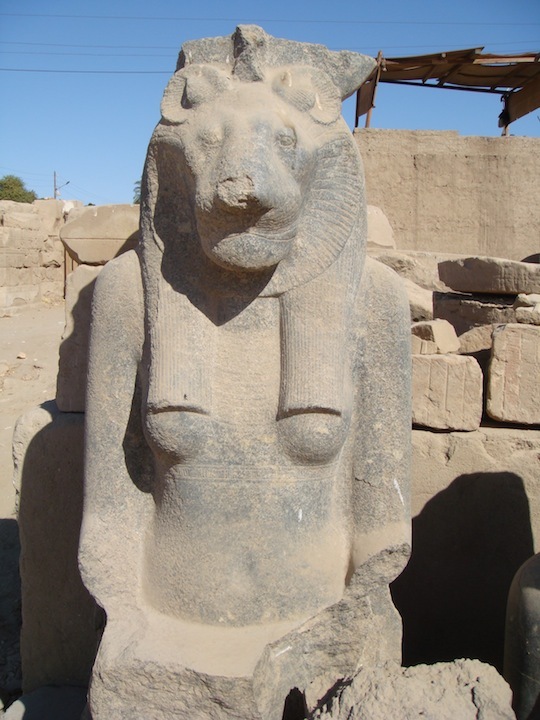 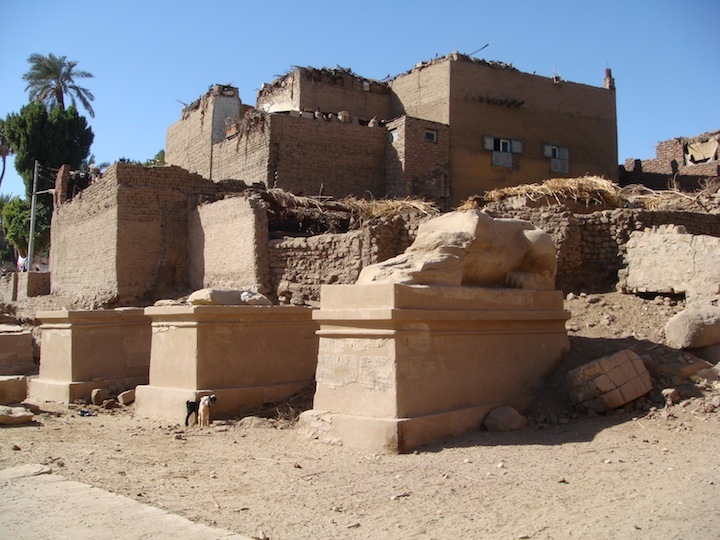 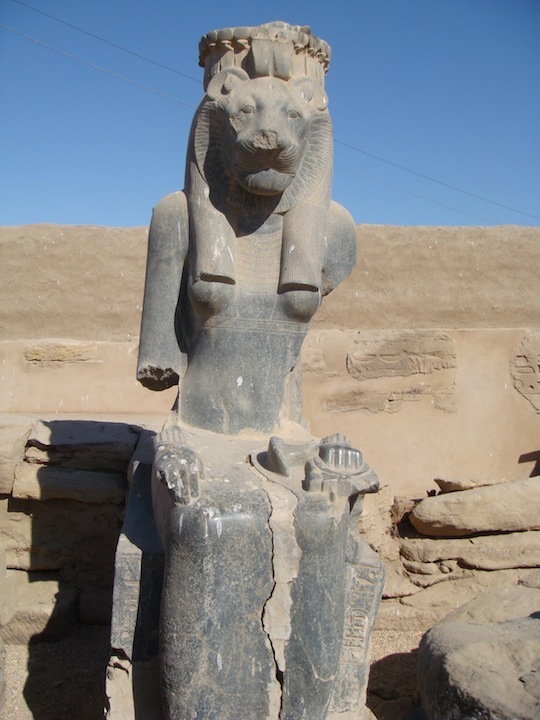 More Sekhmet statues were found here than any other site in Luxor. 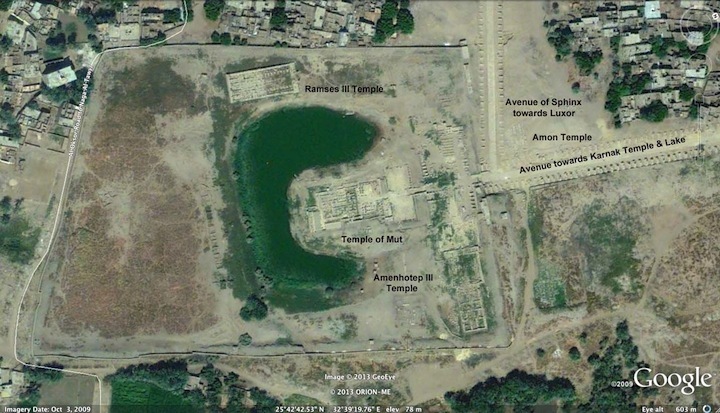 The Site is not open to the public as of yet. 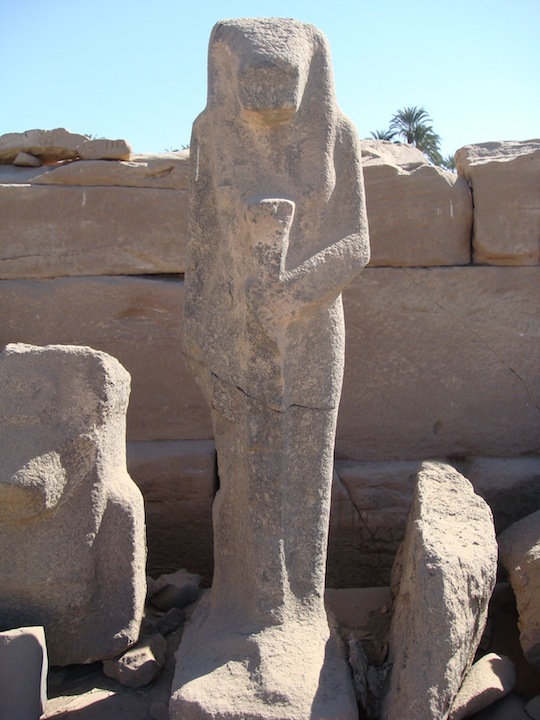 The site is indeed very large with many, many statues and most are in their original positions and standing up. 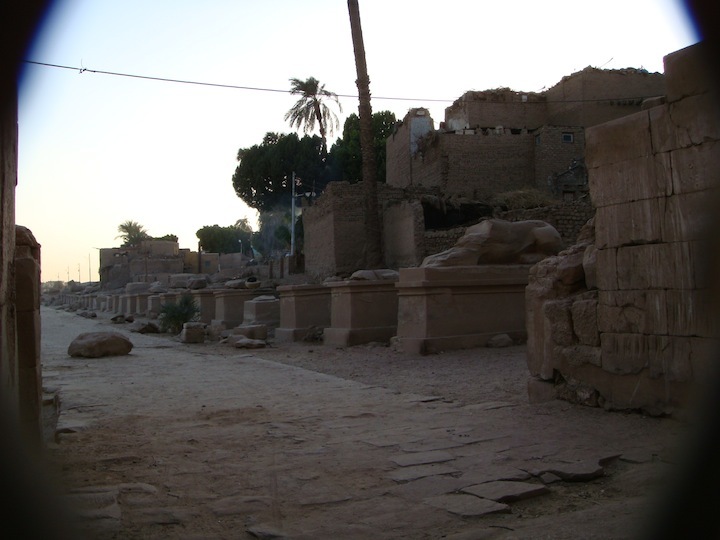 I had a great day here exploring at leisure and wondering around at will. 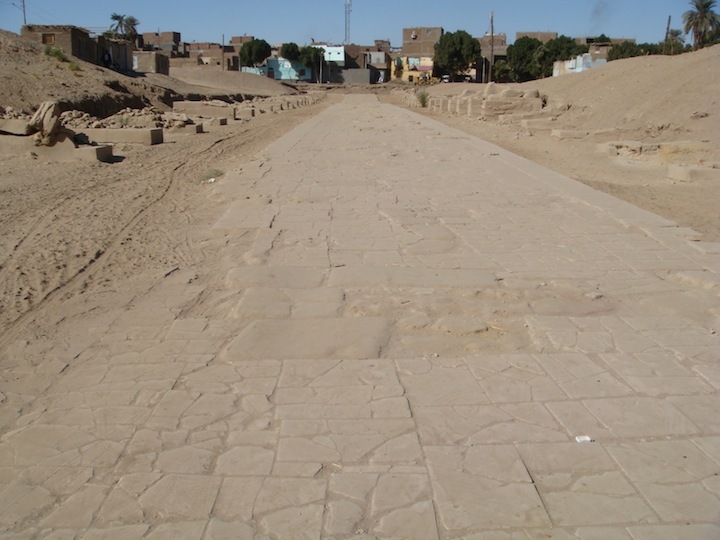 Avenue leading to the Tenth Pylon of Karnak Temple. 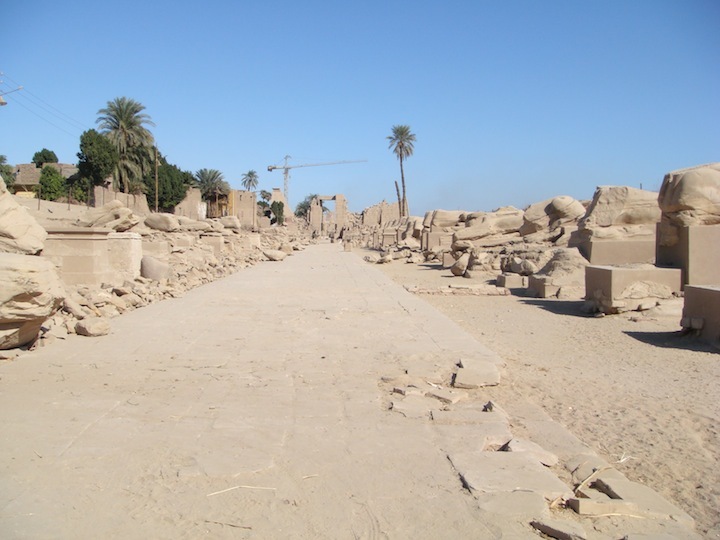 At the top of this avenue and to the left leads to the Avenue of the Sphinx to Luxor. 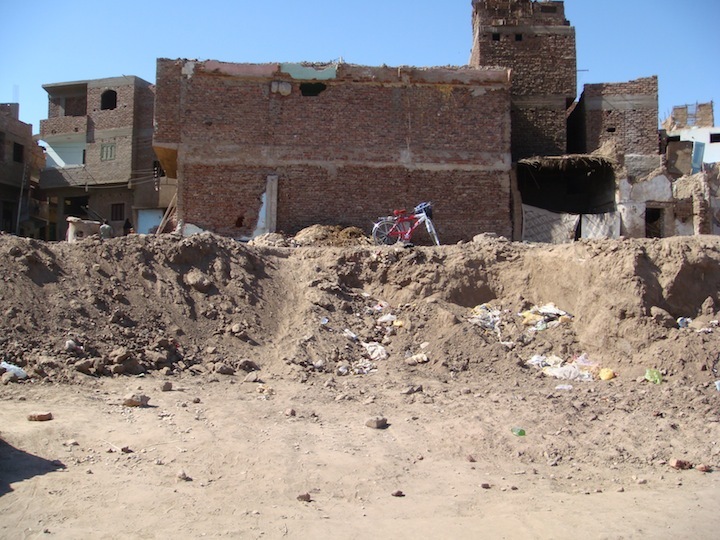 The houses at the top of this picture are to be demolished as there is another avenue that leads to the Nile.